It's difficult enough doing what's right, at least in practice, but when you think you've done right, and then later you begin to question your motives, then it gets to be a bit too much. Which is what happened after YeimKipper. But that needs to happen; we need to question our motives, despite that it may lead to not bothering anymore, because we need not trust ourselves until the day we die. Yes, the day had passed, and everything went by the letter of the law. 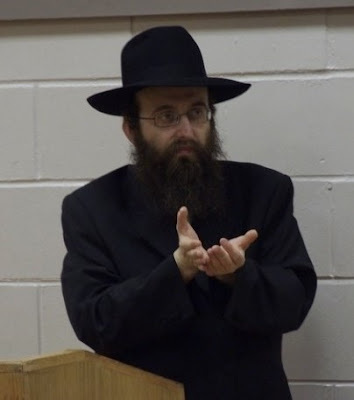 All 5 prohibitions had been strictly enforced, and every word of the machzor dutifully said. But that's not all there is to YeimKipper. YK needs to have an effect on you, just like any other day and occasion. And a lot more. 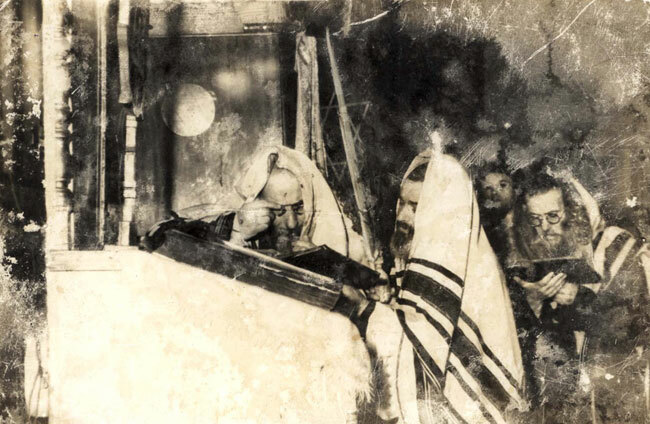 The Rebbe always spoke about being Mamshich Simchas Yom Simchas Teyreh Lekol HaShonoh Kulloh. That means that days like ST need to have a lasting effect, and no, a hangover doesn't count. Which is why I was "taking inventory" and trying to see what I accomplished on YK day other than just fasting and abstaining. So I voiced my concern and unhappiness here, and not until Yedideynu Reb Mendel wrote what he wrote was I consoled. ווער זאגט אז דו האסט געדארפט עפעס פילן? אדרבה ווייל ס'ארט דיר אז דו פילסט ניט איז א סימן אז עס איז דארטן געווען עפעס א שטיקל אמת. ווען דו פילסט טאקע עפעס איז ווער ווייס וויפל איז אמת און וויפל א דמיון. 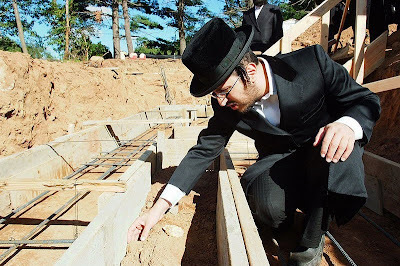 והעיקר ווערן קאלמוטנע איבער אזעלכע זאכן איז גלאט מתנגדישע שטיק און פאסט ניט פאר זמן שמחתינו. טאמער דו ווילסט דוקא קלאגן וועגן זיין א חזן וכו' קען איך מאכן בעסער פאר דיר. ס'איז שוין יארן וואס איך האב יום כיפור ניט געדאוונט מיט א מנין, ווייל בשעת'ן דאוונען דארף איך אנפירן מיטן קהל מסביר זיין וכו'. פרעג איך דיר, קאן איך עפעס פילן? 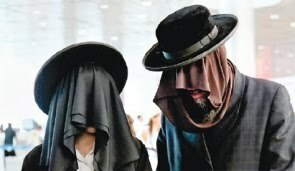 ווען שחרית דאוון איך פאר'ן מנין, און די עבודה זאג איך בשעת די הפסקה ווען איך בין אויסגעמוטשעט און קאם וואס איך זאג די ווערטער. נאר איך ווייס איין זאך, דא דארף איך זיין און דאס איז וואס דער אויבערשטער וויל פון מיר. איז לאמיר זאגן לחיים און זאגן א פרייליכן ניגון. Mendel's words come from the heart, they're not just lip service, and they're not just repeating what he read somewhere. He experiences this not just on YK. And in his case it's because he's serving others. He knows that the reason he doesn't get to "feel" YK is because he's doing G-d's work and teaching the less affiliated. If he were to worry only about himself who would worry about those who know not what to do? Which is why we need not harp on the past. Yes, next year's pre-YK needs to be better. I need to learn more and do more, and maybe then I'll experience what I assume others do, despite not knowing for sure. But right now I cannot allow a day that didn't work out exactly as I would've liked it to work out to disrupt the next step in serving Hashem. האב איך מיר א סוכה'לע געמאכט. זיץ איך מיר דארט סוכות ביינאכט. עס לעשן זיך די ליכטעלעך פיל. און די לעכטעלעך זיי ברענען גאנץ שטיל. טראגט מיר מיין טאכטעריל אריין. טאטע'ניו די סוכה פאלט באלד איין. זאל דיר די סוכה נישט טוהן באנק. און די סוכה'לע זי שטייט נאך גאנץ לאנג. Ch'san Sofer was going through a major transition at that time, and not in a good way. They were losing bachurim daily, and one year lost a whole class. 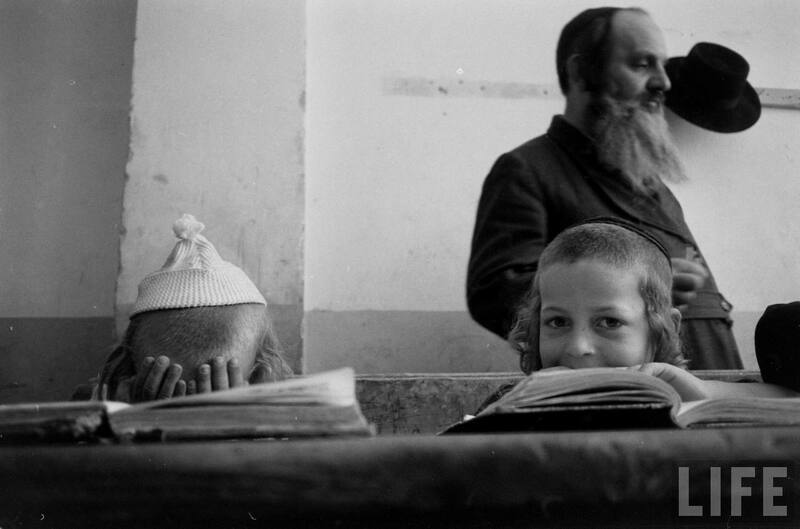 A whole class from Mesivta packed up and left, and there was no class for that age the next year. They had lost whatever appeal they had. Most kids from that background went to the more popular newer yeshivos, whether Litvish or more mainstream Chassidish, and a Parve/Chassidish/Oberlandisher Yeshiva like YCS was left high and dry. You can handle people with no family connection abandoning ship, but once your nephew's kids do it, then it begins to hurt. Which is what happened at YCS. It recovered after a few years, loit vee ich farshtey, but I'm not sure if the character is the same as it was once was, and if the Beis Medrash levels also recovered or only the Mesivta. 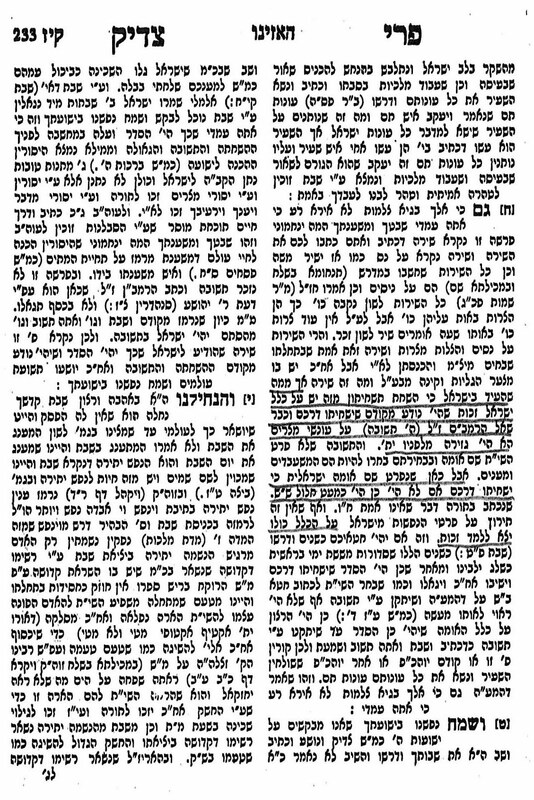 As far as Reb Yossel B is concerned; he had left YCS for Tchebin, so the fact that he went over to Lubavitch could technically be looked at as not really affecting YCS, but I would think that they expected him to come back for Kolel, something that obviously didn't happen. 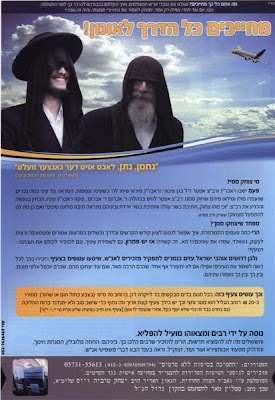 Expecting him to stay there forever was probably not reasonable, since most bachurim see it as necessary as going to EY to one of the good yeshivos there. I'm not here to discuss his politics, whether or not he's a Meshichist or not, and whether or not to elect him without really knowing him was a good idea. After all, most people in CH had never heard of him, save for what they were told by the people that picked him and think that they can control him. I'm also not here to discuss why the dayan HaRav Rosenberg from mechon LeHoro'oh saw fit to call for elections so quickly. They had "managed" for years without a third Rov, so why not allow for a few more weeks until people need to decide on a lifetime position? And we can all discuss the fact that they took a minus 40 Rov in CH, which is ironic to say the least. This after they had Rav Marlow, originally from Newark, Rav Osdoba, from the Bronx, from a Gerrer family, Rav Heller, from Lugano, a Brisker Galicianer. They finally got Reb Yankel Shvei, a Gezha Talmid Chochom, to fill a seat, back in 5763, to the delight of the older Gezha people. I personally think (hope, and pray) that Reb Yossel will be his own man and not allow himself to be controlled by the trouble makers in CH. They've never dealt with a guy like him, so they don't know what to expect. I see good things happening in CH, despite not really caring, I'm sorry to say. I think most people who don't live there have totally disconnected themselves from all the Politics, and from the community in general. They visit and shop, but they're turned off, for several different reasons, שאין כאן המקום להאריך בהם. Maybe it's Chabad. They don't like when you get too in touch with your feelings. Maybe it's me; the fact that I am who I am. Maybe it's the fact that I was at the amud 80% of the day. After all; if the Ba'alTfilleh needs to inspire the Oylem who inspires the Ba'alTfilleh??? But the fact remains that YeimKipper was "eh." At least as far as what I felt, what I experienced. I realize a lot was happening that I may not have felt or realized, but looking back, when people ask me how it was, all I think about was how I did at the amud and how people liked it. I don't think how it changed me, how things will be different from now on, etc. Why is that? Why didn't I experience what the people in the painting experienced? I assume you'll say that I didn't prepare myself enough. I'll give you that. But what can be expected of a working man these days? I should've done more, no doubt about it, but was that all that was missing? Do all others who say they feel really do what it takes? I woke up very early on EYK morning, shlogged Kapores on a real rooster, Mikvah, nice seudah. Malkes, Mikveh, pretty decent Shemone Esrei at mincha. Drove to Brooklyn, had the seudah HaMafsekes and went to Mikveh again. By the time I was done it was time for Kol Nidrei. Where did I go wrong? Whatever. A young man in Yaffo yesterday, demonstrating against the ongoing building activity that unearthed kevorim. He seems especially pained by what's going on there, judging from the clenched fist, closed eyes and apparent shouting. These demonstrations have been going on for months now, with activity picking up during bein HaZmanim, naturally. We're not gonna re-hash the issue here, and whether or not anything is being accomplished by confronting the cops and blocking traffic. And yes, that is a bottle of Smirnoff he's holding there. I have to assume that it's filled with a genuine adult beverage. 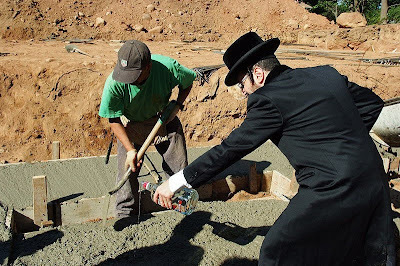 I'm sure he has his reasons for pouring mashkeh in there, and that this symbolic gesture will bear fruit. We applaud that gesture, much as we applaud what he's doing in that part of town. 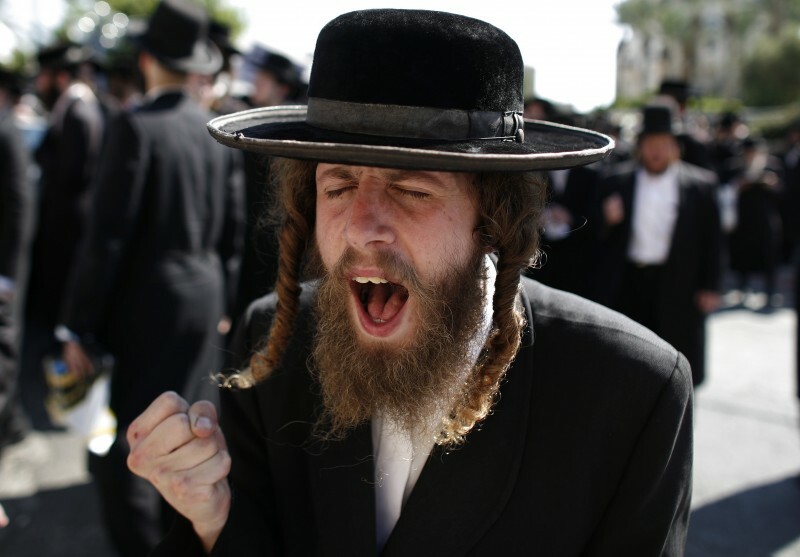 Just wait and see; he'll be the biggest Rebbe out there one day. This message - the one that RTH brings here - is as much about Mazel as it is about Tshuveh and Zindigen. 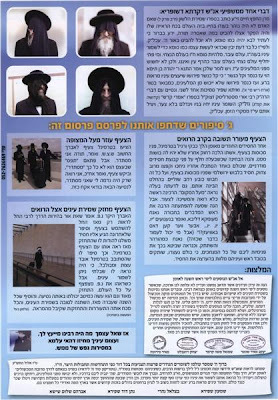 Reb Tzudek is quite popular, even amongst the B'nei Teyreh. They see nothing wrong with even the most sensational statements. Remind me; who was it that made him acceptable amongst the BT (bnei teyreh): was it RYH? Or maybe they just don't know what he says, is that what it is? 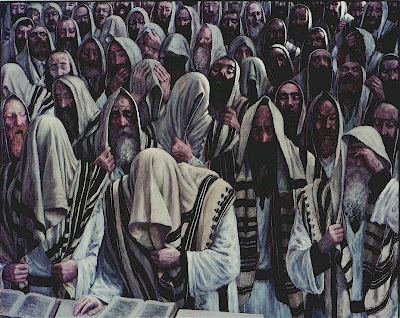 They know only selected shtiklach that are brought down in Pachad Yitzchok or Or Gedalyohu? Lines these are what is known as "classic Izhbitzeh;" so they tell me. Basically it's predetermined for us to sin, G-d knows it'll happen and he said so. So we have no choice but to do what he says we will... At least "us" in the general sense of the word, as a whole, the Nation of Israel, that is. We cannot use it as an excuse, you see. It's just that this is what will happen. Am Yisroel will turn their backs on Hashem and they'll they'll do Tshuveh, that's what the seder vet zein. So what's mazel got to do with it, you ask? It's simple. Reb Tzudek, Izhbitzeh and some others from that school of thought had mazel that G-d's lawyers never got on their cases. Had they done so most Jews never would've had the taanug of learning their seforim, because they'd be blacklisted, just like Rav Kook and others, who were banished for statements alot less controversial than this. This too is mazel-based, and this too is what G-d wants. Maybe it's got something to with the fact that he never got in their way, the lawyers, that is. That's what it is most of the time; if you don't bother them or get in their way they could care less what you write in your seforim. The fact that they were Poylishe Tzaddikim - meaning literally, from Poland, may have helped thei cause. The Polish were not and are not zealots, whereas the Hungarians and some Lithuanians are. If they don't like you or you hurt their cause they'll destroy you, and most of the time it's one of their own landsleit or even chaver on the same bench in Volozhin. That too is mazel; where you're born and who your contemporaries are. Some people are at the wrong place in the wrong time, or even the right place at the wrong time. And some people are just ahead of their times. So it's written and so it is. Rabbi Hillman was an eynikel of Radatz Chein, Zt"l, and carried his name. RaDaTZ was one the greats. 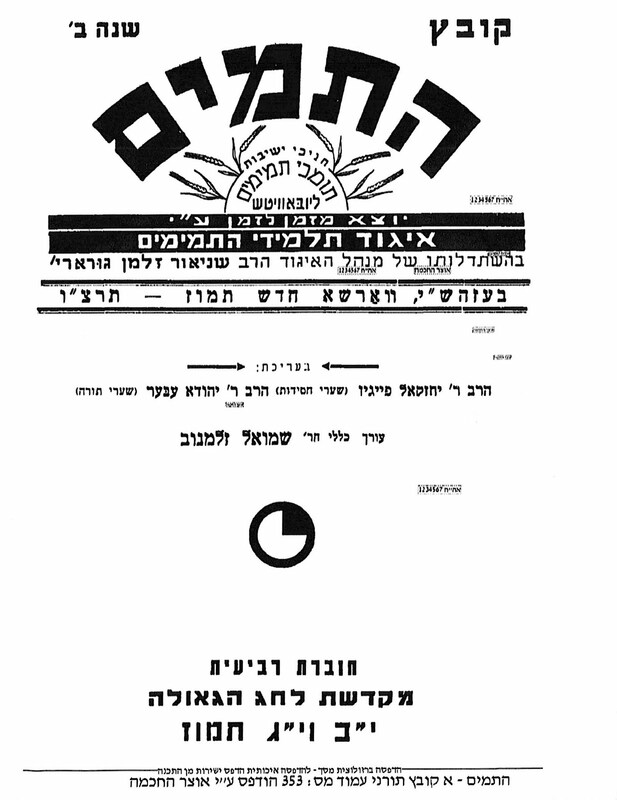 RaDaTZ came to Eretz Yisroel in 1924/25 and passed away soon after. Reb Dovid Hirsh's name is mentioned with reverence until today. 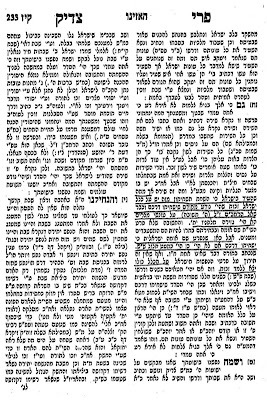 Der Eynikel took on the Chabad Rebbeyim by claiming that the Genizeh was forged. Needless to say the Rebbe was not pleased by that kind of talk coming davka from RaDaTZ's descendant and the one who carried his name. He was a Ponovizher bachur and one of Maran's big guns, maybe because they had a common, um, cause. 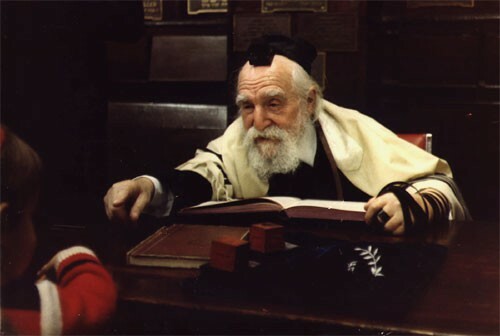 There's no doubt that he was a tremendous gaon, and his admirers will tell you that he knew "all kisvei Chabad ba'al peh," but please don't tell me that he knew better than everybody else. That generations of mesorah mean nothing just because he had a good head. The naysayers love guys like him. Apparently he also had a minhag of making a huge pot of cholent and serving hungry Yeshivah bachurim all Shabbos afternoon. That too somehow proves that Chabad had it all wrong... Hillman passed away a few days ago. We had been talking about the Genizeh and his name obviously came up. In his book, "Igros Baal HaTanya U'Bnei Doro" he tries to prove that the Genizeh is false. He's mostly known for his work on the Frenkel Rambam, which makes you wonder why a TC like him would need to disprove a detail in Chabad history, no matter what the price. 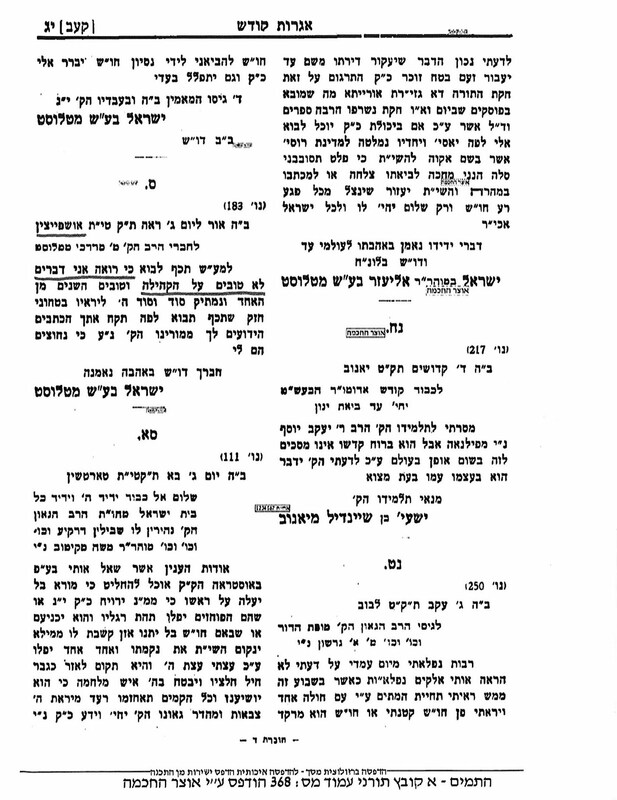 In any case, see if you can figure out why we brought davkeh this page from haTomim. It's aseres yemei tshuveh, why am I doing this? We slowed down a bit these last few months, but have no fear, we'll be back soon, better than ever. I could probably do that more often, link to older posts again when the time is right. Many of you haven't seen lots of what I'd written in previous years. I can honestly and sincerely say that I have little to atone for as far as the blog is concerned; there's not much that I wrote this year that I regret writing. For the other years there may be several; but considering how much I've written I'd say that we did pretty well for ourselves as far as providing entertainment without too much collateral damage. Besides, lachen fun misnagdim meg men doch... Seriously though, may der eybershter give each all every one of you, בתוך כלל ישראל, gezunt, parnosseh, nachas from di kinderlach, harchovas haDaas to learn and daven and anything else that a pure Jewish heart may desire. Monday, chof Elul, was forty years since the passing of Reb Ella Lopian. That's how he was known. Ella, not Elya. Reb Ella was special. It's tough to explain, but I'll try. There are those that make names for themselves by attacking others or by being leaders of large groups. As a kid I collected Rebbe pictures, and the picture you see above was one of the pictures I had. I think my nephew took my collection, IIRC. We didn't know much about him in Spinka back then, but we liked the picture, it was special. As it is today, no matter how old you are. 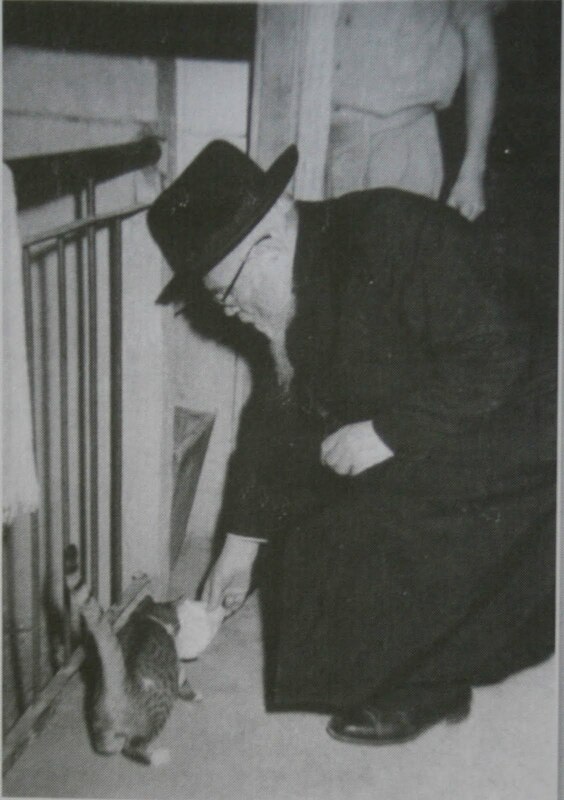 Reb Ella feeding a cat in Kfar Chassidim is special, considering he was an old man by then, well into his 80s for sure, and he was the mashgiach, not the maintenance man. Most people would send a bachur to go do it, if they remembered at all or cared enough, but not REL. That message resonates especially well with kids, being that kids are used to being shik yinglach for adults, yet here the adult, the well-respected Tzaddik, is doing it himself! That speaks to kids, and it leaves an indellible impression on those "young skulls full of mush." I also had another experience with Reb Ella. We alluded to it here, but sans details. As a bachur in Chasan Sofer we learned Lev Eliyohu (as well as Michtov MiEliyohu) Our Rebbe was Reb Hershel Cohen, z"l, a talmid of BME in Monsey, a fine, fine Yid who suffered terribly later in life. We learned those seforim for mussar seder each morning. In the hakdomeh there's a toldos section, and one interesting - no, fascinating - detail stuck with me all these years, through Lubavitch and all: Reb Ella's parents left for America when he was all of 9 years old. He refused to go along with them, preferring to stay alone in di Litteh all by himself, saying that Amerikeh iz a trayfeneh medineh. As someone who was homesick in summer camp after one day I was blown away by that! A 9 year old kid! You can put aside all his later accomplishments - if that was the last thing he ever did, Dayenu! 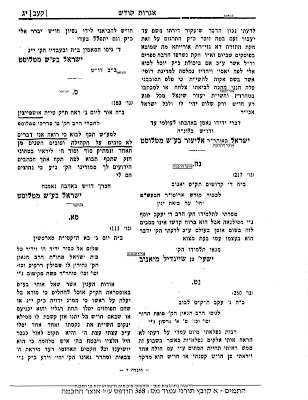 Now I see where someone posted a few lines of Reb Chayim Shmulevitz's hesped on Reb Ella; hafloh voFeleh! Kol Hashiurim has the hesped recording, it's just a bit difficult to understand Reb Chaim'n, with his very heavy and sloooooow voice. It's number 19 in the list. So back to the point of why he was so special; Anybody who can make a buk like myself appreciate him, his demeanor, his personality and his accomplishments MUST be special! There are plenty of shiurim/shmuessen of Reb Ella on KH that you can listen to in your free time. That style is gone. Today we have grandstanders who build tillei tillin shel gornisht mit nisht in their speeches, which are supposed to be shmuessen. The correlation to shmuessen of old is purely coincidental. 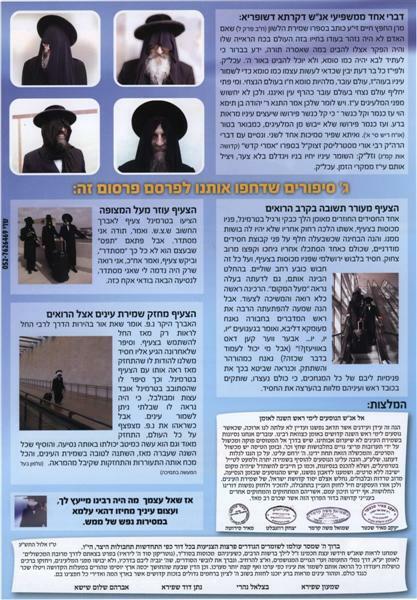 Sure, we have stories about gilui eliyohu from Reb Ella, but vos hut dos mit unz?, we can learn from his middos tovos. 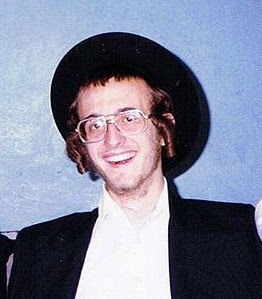 The same goes for Reb Chaim; that style is also gone. But what's the point of lamenting the ones that have passed? We cannot bring them back, we can only try and follow in their footsteps so that der fin oyven will give us a good year in the fullest and most mundane sense of the word.